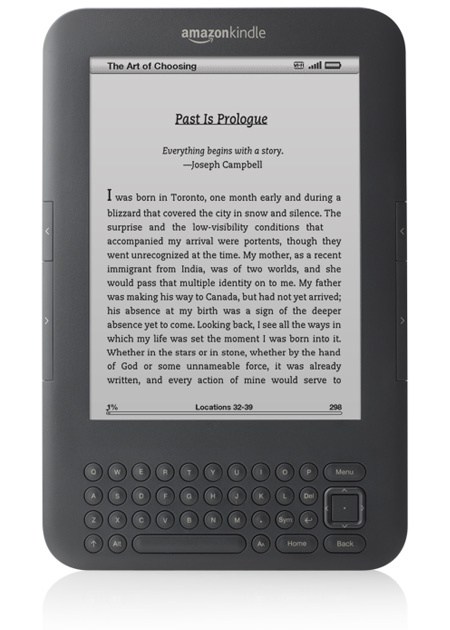 Three years ago today, I made one of my greatest life-changing purchases ever – my Amazon Kindle Keyboard 3. And it’s still going strong, with 1831 titles and 686MB of free space left. As I’ve previously written, my iPad is my main reading device but I still prefer the Kindle for bedtime reading and I always take it in my backpack as a backup device. During last year’s visit to New Zealand, the Kindle accompanied me across the Tasman Sea while the iPad stayed at home so I wouldn’t get murdered by overseas roaming charges. A couple of things have changed, however. The first thing is that up until early this year, daily I used to check sites like Kindle Nation Daily, Pixel of Ink and Book Basset for what free ebooks were promoted that day…but eventually it seemed more like a chore than good fun, so I stopped doing it. This is not a fault of the sites themselves, but just a change of habit. The second thing is that most fortnights on payday, I used to load up with $50-100 worth of ebooks from Amazon. For a while now, though, I’ve only been buying a new ebook every few days. It’s not because of any financial hassles, but again just a change of habit. Will my Kindle make it to a Year Four post? I hope so, but if it doesn’t I will most likely replace it with another one.